Newcastle United will be looking for their first win in the post-Pardew era when they host a confident Southampton squad on Saturday. The Magpies have not won in the three matches since their manager's abrupt departure to Crystal Palace. Interim manager John Carver will be in charge again on Saturday. However, he told media that a new manager should be in place by the end of the month. After this match, Newcastle will not play again until January 31st. This should leave the squad plenty of time to rest injuries and adjust to a new manager, if one is in place by then. Southampton have rarely had it so good. Ronald Koeman’s team beat Manchester United at Old Trafford last weekend. The Saints are unbeaten in their last five Premier League matches and currently sit alone in third. They are unbeaten in seven matches overall. They also have the advantage in recent meetings, having lost just once in five matches against Newcastle since their return to top-flight in 2012. That includes back-to-back 4-0 victories. Newcastle’s injury crisis finally appears to be easing. Tim Krul and Davide Santon have made their return over the last few matches. However, the club have lost leading goalscorer Papiss Cissé and midfield anchor Cheikh Tioté because of their involvement in the African Cup of Nations. The Magpies are not expecting to have any more players made available in time for Saturday’s match. 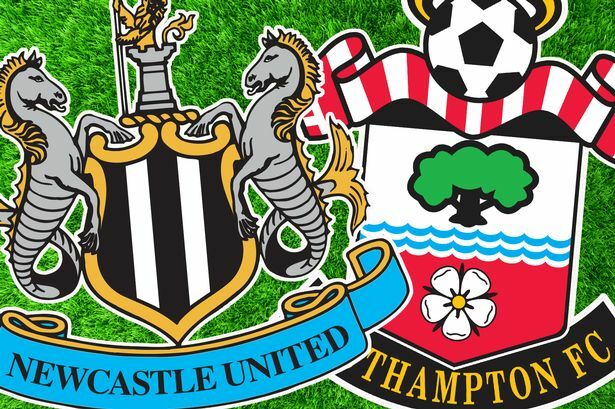 Mehdi Abeid (broken toe), Rob Eliott (thigh muscle), Rolando Aarons (Hamstring), Siem de Jong (thigh), Ryan Taylor (knee), Jonas Gutierrez (cancer), Steven Taylor (ruptured Achilles) and Gabriel Obertan (thigh) will all be out longer. Carver said this week that there is good news on the horizon. Abeid, Gutierrez and de Jong have all returned to training. While Gabriel Obertan is just a few short weeks away from doing the same. Southampton have injury concerns of their own. Toby Alderweireld (hamstring injury) and Sadio Mané (Calf muscle strain) will be out several weeks. While English attacker Jay Rodriguez has not played this season because of a serious knee injury. Victor Wanyama suffered a hamstring injury mid-week against Ipswich Town and is expected to be out for at least a month. John Carver is not expected to make very many changes from last weekend’s defeat to Chelsea. In part because of the general lack of available options right now. Sammy Ameobi has been battling an injury but should be available against Southampton. He could start at the expense of Yoan Gouffran or Remy Cabella. Southampton beat Ipswich Town in FA Cup action mid-week with a relatively strong squad. Alderweireld, Mané and Wanyama are all significant losses. Koeman has not been afraid to tinker with his line-up this season. He has used several different formations. And he might have to think outside the box again with several injuries to key players. But Koeman’s club are very resilient. The acquisition of Dutch midfielder Eljero Elia should make up for the absence of Mané in attack. And English youth international James Ward-Prowse is more than an adequate replacement in midfield. Graziano Pellè leads the club in goals with eight this season. While, Old Trafford hero Dušan Tadić should be the source of many of Southampton’s attacks on Saturday. The Saints obviously know how to go into inhospitable environments and win. St. James’ Park should not intimidate a club that won at Old Trafford last week. However, like Newcastle, they are a depleted side. They have been relatively lucky this season with injuries until recently. It is unclear how they will react with several players out of action. Newcastle have a very good record at home. They have only lost once in their last seven league matches at St. James’ Park. That was a 1-0 defeat to Sunderland back on December 21st. They have beaten Liverpool, Chelsea and Everton over that span. And despite the loss last weekend, the team seemed more confident with Tim Krul back in goal. It is always a difficult match with Southampton as your opponent. But Ronald Koeman’s club will be missing several key players due to injury. Another 4-0 defeat seems unlikely. However, Newcastle just do not have enough right now to overcome a solid Southampton club. These clubs are heading for a draw.